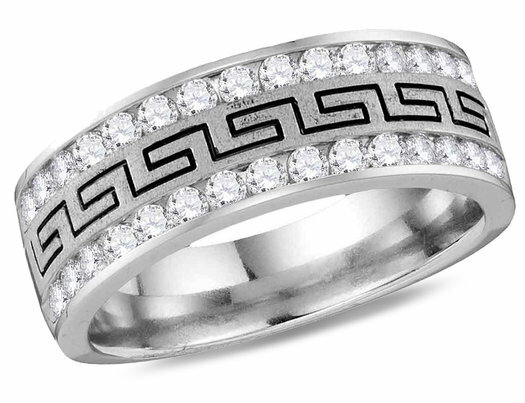 This luminous 14 karat white gold men's wedding band features channel set containing gleaming diamonds a 1/2 carat (ctw). A testament to elegance, this piece will serve as a proud reminder of your promise of love. An elegant men's ring sure to make a statement.